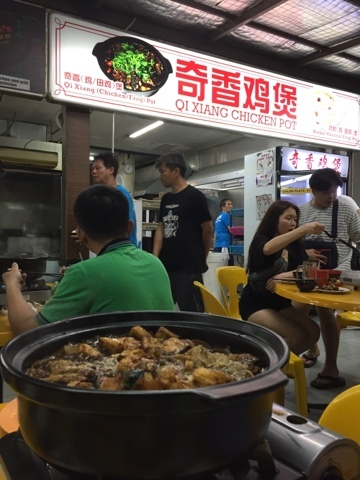 Qi Xiang Chicken Pot is one of cheaper places to enjoy Chicken Hot Pot/ Steamboat. 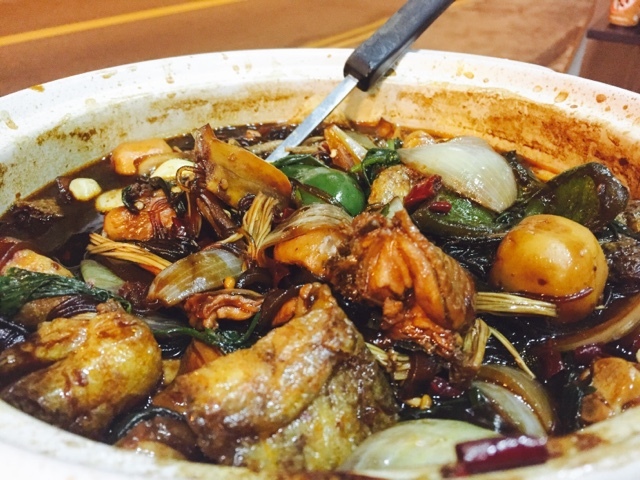 Along Upper Serangoon Road next to Ponggol Nasi Lemak Centre, you will find a nice recluse where you can enjoy the hot pot whilst enjoying the cool night breeze. 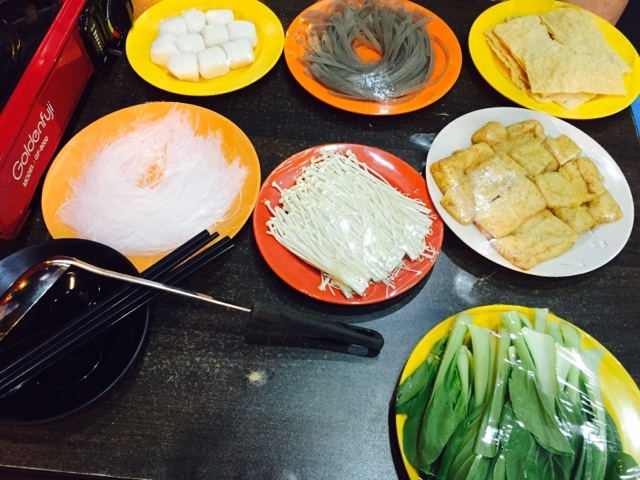 Next to the entrance, you will find a refrigerator where you will take any sides you like to cook in the hot pot. Each coloured plate is charged differently. 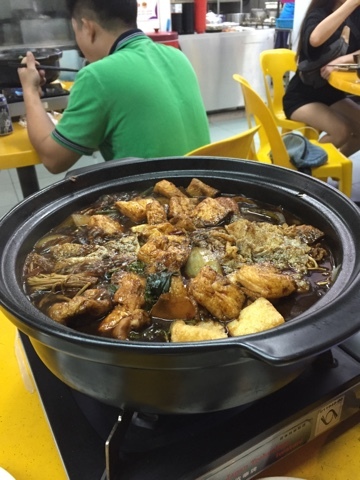 I love having the fried tofu, beancurd skin, golden mushroom in my hot pot. All of them complemented the spicy broth very well. It was a great fit. 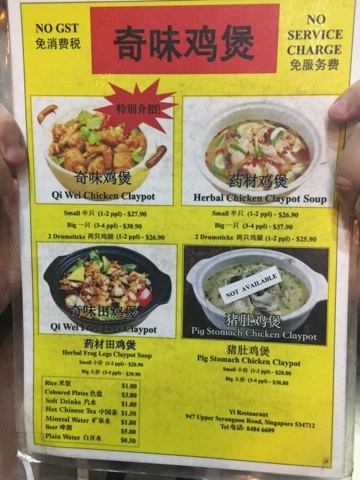 The restaurant also offers frog hot pot, if you are sick of having chicken all the time. Stuffness Level (How full you are): 5/5. Even though we order half a chicken portion, we could not finish the entire pot of goodness.